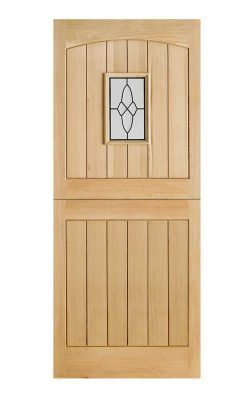 One leaded Glazed panel centred in six oak vertical laths with an arched head. Raised mouldings on one side. External door, Double Glazed unit. Un-Finished- so ready to decorate.